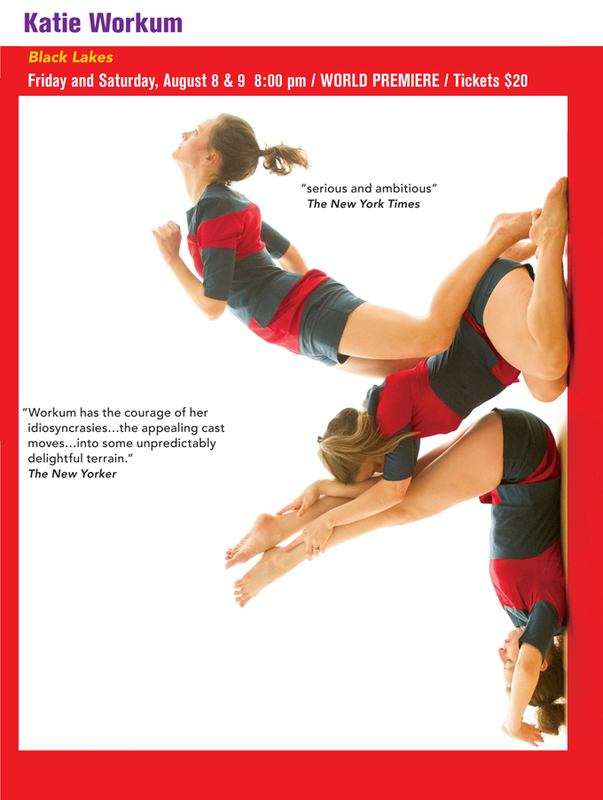 Stripping down her own pre-existing perceptions of theatricality, Katie Workum’s Black Lakes asserts a joyous and spontaneous celebration of the mundane, creating an environment of inclusion and mindful presence. Bessie-nominated Eleanor Smith, Weena Pauly, and Workum improvise with and without one another, moving in unison and in solos, duets, and trios. Asserting that humans are deeply attuned to each other, Black Lakes allows for great physical risks as well as intense focus and intuition, inviting viewers to consider what it is to witness something new unfold. Sound by the Bessie award-winning James Lo and lighting by Carrie Wood. Katie Workum’s dances attempt to access the parts of us that have no words, the parts humming underneath our thinking brains. Using performance to create community, she maintains a generous space between dancer and viewer, focusing on the ways we are responsible for one another. She has created nine evening-length works, including commissions by The Chocolate Factory, Dance Theater Workshop, and Dance New Amsterdam.